There are seven steps to becoming a proper lion, including Looking Fierce, Roaring, Prowling Around, and Pouncing. 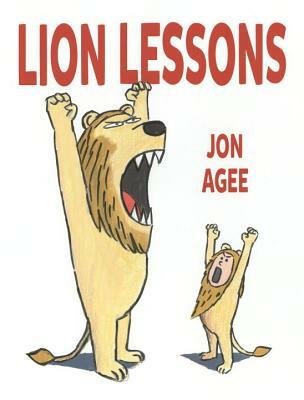 Our young hero, a rather meek and scrawny human boy, does his best to learn the necessary skills during his training with a master instructor (who just happens to be a real lion). After a grueling set of lessons, the boy discovers that that the final step -- Looking Out for Your Friends -- is the most important of all. That's how any kid can earn his lion diploma (not to mention the affection of every cat in town).